^ Rice, A. L. The Challenger Expedition. Understanding the Oceans: Marine Science in the Wake of HMS Challenger. Routledge. 1999: 27–48. ISBN 978-1-85728-705-9. ^ Then and Now: The HMS Challenger Expedition and the 'Mountains in the Sea' Expedition]. Ocean Explorer website (NOAA). [2012-01-02]. ^ Sir John Murray (1841-1914) - Founder Of Modern Oceanography. Science and Engineering at The University of Edinburgh. [2013-11-07]. （原始内容存档于2013-05-28）. ^ Department of Paleobiology. Catalog Number - USNM SD 59154.0000. Smithsonian, National Museum of Natural History. Smithsonian Institution. 2010-12-03. （原始内容存档于2011-07-20）. ^ Auguste Piccard, Explorer, Is Dead. Auguste Piccard Is Dead at 78. Stratosphere and Sea Explorer. New York Times. 1962-03-26. 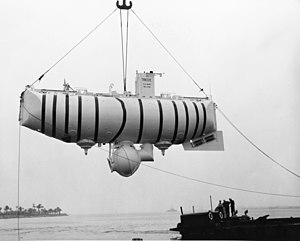 ^ First Trip to the Deepest Part of the Ocean The Bathyscaphe Trieste carried two hydronauts to the Challenger Deep in 1960. Geology.com. 2005-2015 Geology.com. [2015-04-27]. 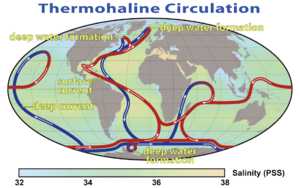 ^ Hess, H. H. History of Ocean Basins (PDF). (编) A. E. J. Engel, Harold L. James, and B. F. Leonard. Petrologic studies: a volume in honor of A. F. Buddington. Boulder, CO: Geological Society of America. November 1, 1962: 599–620.